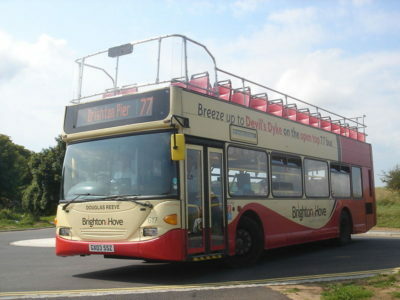 We’re heading back to Brighton for day 25 on #AYearOfBuses, for one of the only routes in Britain where you’ll still find articulated buses. 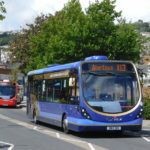 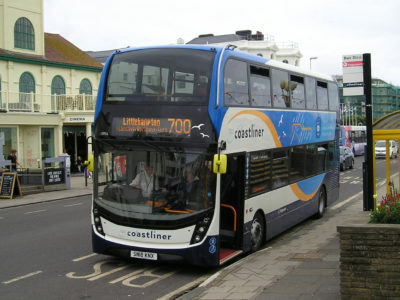 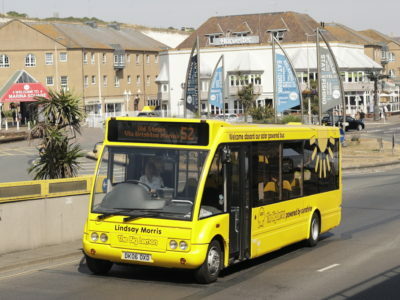 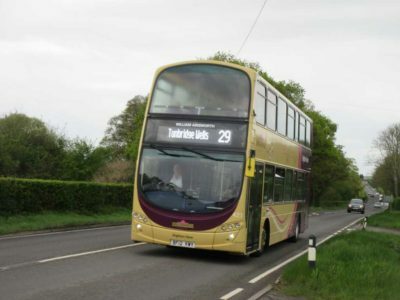 Brighton & Hoves’ network of 25 routes are relatively short routes, taking students from the University of Sussex just to the north of the city centre, along Lewes Road into the city, then out towards Hove and Portslade just along the coast. 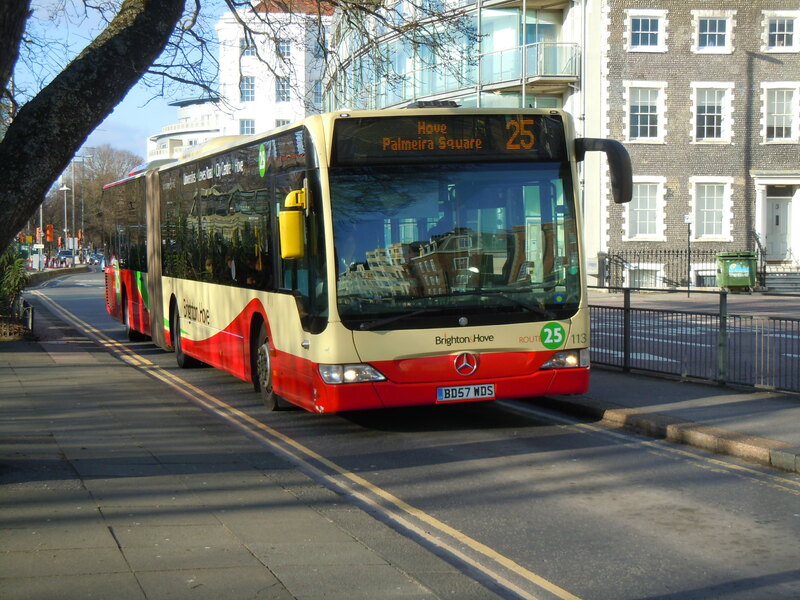 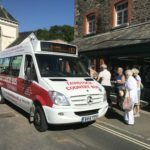 The 25 is run by a fleet of 22 articulated Mercedes-Benz Citaros (details of which you can find on Brighton & Hove’s own excellent fleet list), which are perfect for hoovering up crowds of students from the university. 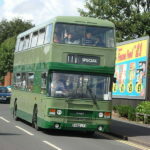 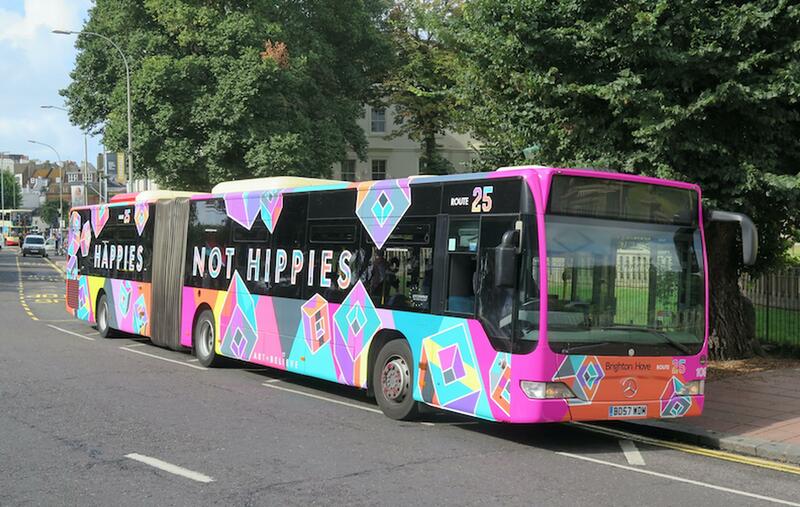 In tribute to the city’s bohemian lifestyle, a number of the artics carry special, unique liveries – including this one, 109, which sports some catchy geometric ‘happies not hippies’ branding.